Inspired by you. Designed to be the perfect finishing touch to your 24/7 life. This elegant new scent is as stylish as the life you lead, weekday to weekend. Chic. Life. Style. 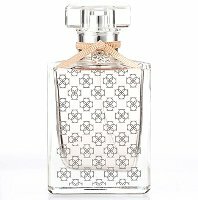 Features an uplifting blend of plum, dewdrops and magnolia, highlighted by notes of jasmine, sandalwood, vanilla and vetiver. Ann Taylor The Signature Fragrance is available in 50 or 100 ml, concentration unknown, and in a travel-sized rollerball. Dewdrops. *Groan* Cute bottle though. Ditto. Really do like the bottle. Yep. Cute bottle, blah notes. I would imagine that the “dewdrops” would possibly enhance the magnolia’s dewiness. This reads very nice; plum seems to be the “IT” note of lately in fragrances…being used more often of late in men’s fragrances. And I do like magnolia. We shall see!